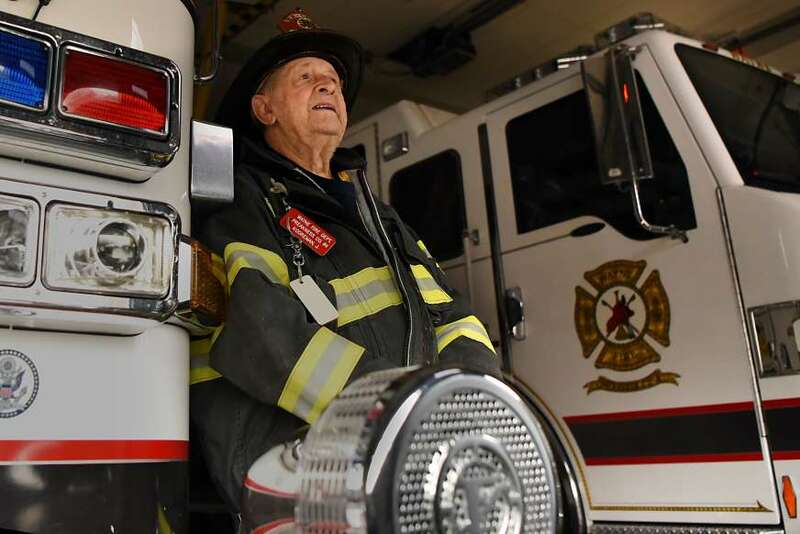 At 92, John Kooreman is the eldest fire fighter among his town's bravest. 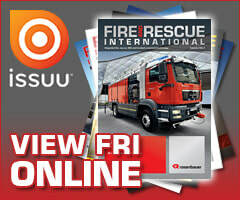 Mild-mannered and soft-spoken, Kooreman bucks the stereotype of a rough-and-tumble fire fighter. Although he lost a step, or two, he is not yet ready to hang up his gear. "It gets in your blood and you just got to keep doing it," Kooreman said from his home. The veteran fire fighter at Preakness Volunteer Fire Company 4 in Wayne, New Jersey, was recently recognised for his service at a public meeting. Fire Chief Peter Haenchen, each fire company in Wayne has its own chief, said Kooreman embodies the spirit of a volunteer. "It is an honour to work with a guy that has 75 years of service," the fire chief said. Kooreman, a native of Hawthorne, New Jersey, joined his hometown's Fire Co 4 when he still was in high school. World War II diverted many men from fire scenes to the front lines of battlefields. As a result, Kooreman said, the fire department was in need of volunteers and he and his friends were allowed to join at a younger age. "We were considered a wartime fireman," Kooreman said. "You had to be 21 but during the war, they made it 18 'cause they couldn't get people." Kooreman later joined Haledon's Fire Co 2, before he and his late wife, Beverly, moved to Wayne to raise a family. He has three children, five grandchildren and five great-grandchildren. Kooreman came aboard Wayne's Fire Co 4 in 1959. He served as its chief in 1968 and twice as the township's fire commissioner, a role not found in most municipalities that gives power to the officeholder to advise the mayor and Township Council. 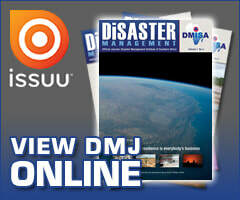 The commissioner serves for two years, approving new volunteers and overseeing calls for service. It is rare to hold that position more than once, local fire fighters say. 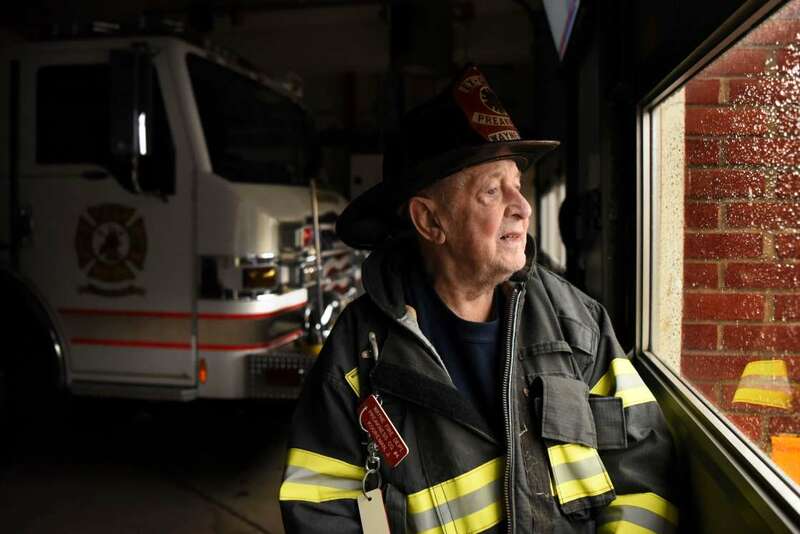 Although Kooreman is the oldest fire fighter in the township, he has not served for the most number of years in Wayne. That distinction belongs to 89-year-old Gregory Velardi Sr, a life member of POL Fire Co 2, who joined the fire department in 1956. John Babitz, 77, fondly recalled how Kooreman recruited him to join the fire department. At the time, the men worked together for New Jersey Bell Telephone Co, a Verizon predecessor, in Paterson. Kooreman was a switchman and Babitz a cable splicer. "He became a mentor for me because he taught me a lot through my whole career," Babitz said. "Not only is he a legend in the [fire] company, he's a legend in the town." In 1966, the year Babitz joined, the township endured a devastating fire in which a 36-year-old man and his three-year-old daughter were killed. The father, Donald Heintjes, at first escaped but he ran back into his home in a vain attempt to rescue the girl, who died, according to a newspaper article published by The North Jersey Record on24 June of that year. Memories of that fire, which sparked in the family's TV, still haunt Kooreman. "Guys were throwing up all over the place," Kooreman said. "They were carrying them out, guys would take one look and whatever they ate for the last couple of days was coming up. "And, they thought, you know, it reminded them of their own kid," he added. Kooreman no longer responds to calls for service but he remains a fixture at the firehouse. He attends the fire company's meetings, goes to its drills and, like a true volunteer, pitches in when he is called on to do so. And, he has been president of the Passaic County Firemen's Association for decades. His son, Scott Kooreman, 60, is vice president of the organization and he said he might take over its leadership duties. "It gets in your blood," Scott Kooreman said, echoing his father. "Once a fireman, always a fireman." 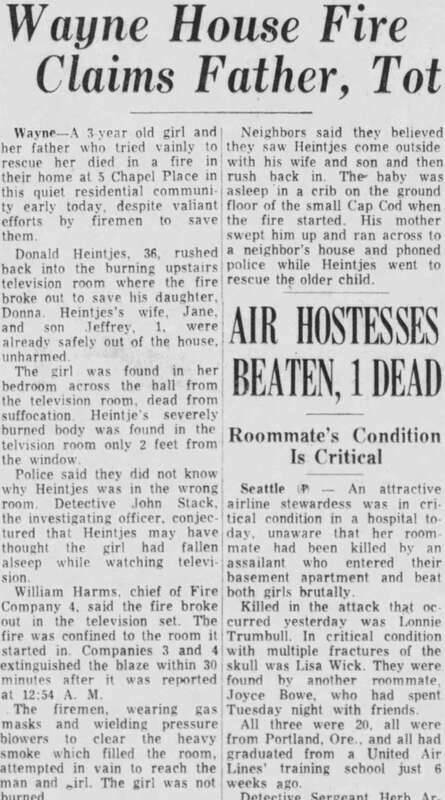 Courtesy of Newspapers.com Newspaper clip from the24 June 1966 edition of The Record, with a story about a fatal fire that Kooreman said was among the most memorable of his fire fighting career.